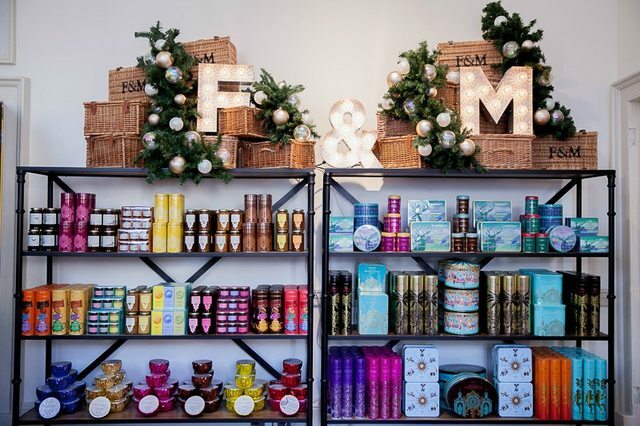 A Christmas tradition for us is visiting a festive market or display of some kind (last year it was Winter Wonderland) and top of this years list is visiting the Christmas Arcade at Somerset House in London, which is a pop-up version of Fortnum & Masons flagship store! Overlooking the stunning skating rink it is a gorgeously decorated and decadent shopping extravaganza. It will be full of festive treats from candles to china, stocking fillers, games and of course lots of delightful food and drink options! 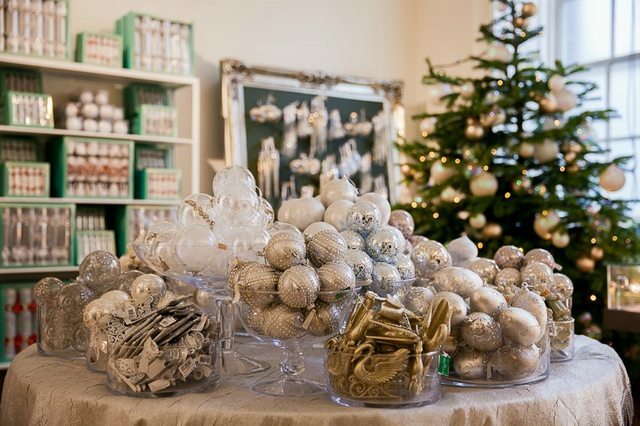 There will be 15 rooms to explore and celebration of the collaboration Fortnum’s has created an exclusive, limited-edition range of Skate at Somerset House products, only available on site including a classic silver skate charm, skater’s mini-hamper and hand-painted commemorative bauble. 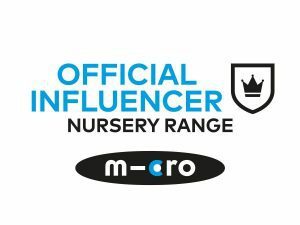 Open late until 9pm on Tuesdays and 8pm for the rest of the week (apart from Sundays when you can shop till 5.30pm) you can visit until the 11th of January, for free! Hopefully we’ll make it up with Athena before Christmas, as well as visiting Somerset House we’d love to show her all the lights of Regent Street too! 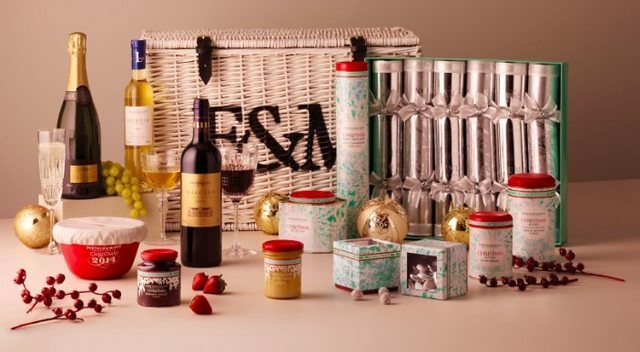 Fortnum & Mason are arguably known best for their hampers, and they are very sweetly offering one of their new Frost Fayre Hampers to one of my lucky readers! It retails at £250 and I dare you not to read the list of goodies included without your mouth watering! Inside you will find Sparkling Strawberry Preserve and Christmas Shortbread, Silver & White Sugared Almonds and our indulgent Mulled Wine Chocolate Hazelnuts. Look deeper to find Champagne, wines and Silver Bell Crackers glinting inside. Happy entering! Please do note that the winner will be contacted on Tuesday the 16th and will need to reply within 24 hours with their details to ensure that F&M can get the hamper to you in time for your festivities! Delivery to UK addresses only. This lovely prize is provided by Fortnum & Mason and I have not been compensated for this post. We’ve got loads but watching the kids put out santa’s sherry and mince pie and carefully selecting the carrot forRudolph is always a favourite. We usually go to the carol service on Christmas eve which is lovely too. Opening the little stockings put out for the kids in our bug bed before we go downstairs for breakfast and the main present opening! Sitting around as a family watching the movies on TV. I am now, of course a dad so my job is to fall asleep half way though in the armchair. That’s a tough one. Probably all the decorations, the tree, the wreaths, candles, and tinsel. I love the Christmas colours and I love the atmosphere. On the Sunday closed to Dec 1st, we decorate out tree and home then in the evening we settle down to watch a Christmas family movie and get a takeway delivered! Having a Bucks Fizz for Christmas Day breakfast! Putting up and making new Christmas decorations. a 6am walk over the meadows with the dogs then back indoors for warm mince pies and the start the festivities! Christmas stockings. I love choosing gifts for them & watching them being opened. For some reason they have more magic than Christmas presenst. Opening the presents with a nice glass of bubbly! Visiting with family and friends – it would be a lonely time of year without them. Putting up the Christmas decorations on the first Sunday of December, really makes me feel festive. Bucks fizz on Christmas morning. Decorating the tree with my daughter. We watch the Tom & Jerry ‘Night before Christmas’ episode on Christmas Eve .. then the festivities can really begin. The pleasure and excitement of getting the tree and decorating it with my children. Decorating the tree as a family. Our Christmas tradition is me and my dad cooking lunch for us, then opening gifts after lunch, followed by dr who/Christmas films in evening. Wearing matching xmas jumpers on christmas day! Midnight mass then opening a gift. Bucks Fizz and bacon sandwiches on Christmas morning! Waiting until all the family arrive to open our gifts together. Christmas Carols and Mass on Christmas Eve, with family and friends. Gets us all in the festive mood. Despite being a ‘grown up’ now, I still make my mum wait til I come home to do the Christmas food shop, so I can go too! Putting up the tree whilst drinking Baileys! I love making peppermint bark as it reminds me of when my mum & I would make it when I was younger. Sitting together opening stockings. I might be 31 but I still love it!! Christmas Eve present box for the little ones! I love making lots of sweets with the children! drinking bucks fizz on xmas eve and watching home alone 2! Telling my son aged 5 that the elves got carried away with the wrapping and have wrapped up the living room door – he then has to jump thru the paper to get into the room (door is obviously open!!). Every year since the children were very small, they chose their own Xmas decoration. Now as grown children, they have great memories of every Xmas tied in with that years decoration, and they can take their own decs to start their own tradition. We’re only a very young family, but this year I’ve done Elf on the Shelf and I make Christmas Eve box. Putting up the tree while singing Christmas songs and of course making a jug of poinsettia cocktail on Christmas day! In my family, we take turns selecting presents to open. Its a nice way to take time opening the gifts and sharing time together. Eating the traditional christmas turkey. The children decorating the Christmas tree. We’ve made up our own traditions as we very much like doing things our way! My favourite is curry for Christmas dinner! Watching Elf on Christmas Eve to get into the spirit! I has to be the Christmas dinner with the family. The food itself being the main draw, with the family time being a welcome bonus. Since having a granddaughter, it’s all about Santa! Writing the letter to Santa and sprinkling reindeer dust on the lawn so Santa and the reindeers know where to land. I wish we’d had reindeer dust when I was a child, it’s magical. We love putting out the Santa plate the night before and filling it with goodies then sprinkling reindeer food at the door. Early walk on Christmas morning with family, friends & dogs, then home for fresh coffee & mince pies. Going for a walk on Christmas Eve evening to see if we can spot Santa’s sleigh in the sky. Boxing day together with all the family, eating, drinking and playing board games! Champagne and chocolate for breakfast! What an amazing giveaway! My favourite Christmas tradition is going to all the local carol services. There’s nothing quite like singing carols and enjoying mince pies and mulled wine afterwards to get you in the Christmas spirit. Making a Christmas cake with my Mum and sister- and now also my boys! Making sausage rolls to our family recipe! Making everyone eat at least one brussel sprout with their Christmas Dinner. All of the food cooking for the festie season. Christmas dinner and board games at my sister’s house. being woken up at ‘stupid o’clock’ for each one of us to open a christmas present at a a time – this ritual usually takes about an hour as each person savours the moment of opening their present and we all ‘ooh and aah’ – its always cold as its about 6.00 and the heating hasnt kicked in – but we’ve been doing it for years – and still do it – despite my children now being in their 20’s!!!! Watching our children bring their stockings into our bedroom and open them up with us is my favourite christmas tradition. Going to midnight mass on Christmas Eve – this has the added bonus of tiring the kids out so they don’t get up too early on Christmas morning! Getting up on Christmas morning to eat croissants and drinks bucks fizz before opening the presents. Leaving a mince pie, carrot and a drink for Santa – the children are always excited! We watch loads of Christmas Movies from the 1st December. It really gets us in the festive mood! I make Christmas chocolate truffles and give them out every year to friends, family and the postman!! Pulling Christmas crackers, it’s great fun. The whole family still throw carrots on the roof for the passing reindeer even though we are all grown up. Rich, boozy, decadent Christmas pudding! Gathering wwith the family for a lovely dinner. Leaving out a mince pie and glass of milk for Santa. watching The Snowman on Christmas Eve. Christmas dinner with all the family. My favourite Christmas tradition is opening a decent single malt on Christmas night in front of the TV. stuffing my face at the xmas markets! Drinking fizz in front of a log fire while we open our presents. We always open one present on the stroke of midnight on Christmas Day. sitting around overeating with family! Opening all our pressies when we get up! Cheese evening on Christmas Eve whilst watching Carols from King’s. Christmas dinner with all the family! A walk to the beach after Christmas lunch, in all weathers! When the children were small it was tradition to watch Top of the Pops and dance around the living room. Christmas present treasure hunt with the children – this year’s hunt theme is disney’s Frozen (as if you couldn’t guess eh). And btw, the kids started this family tradition two years ago after going to an Easter Egg Hunt and having a blast. They love running around the house working out where their presents are hidden and the so prezzie hunt usually ends with everyone happy and giggling. One of the this year’s clues is…You might find an Olaf to cuddle, somewhere in your mix n muddle; he could be your very own if you remember where your broomstick’s flown (older daughter dressed up as a witch for halloween). Another clue… Elsa’s worried so she starts to glow, she needs your help so quickly go; near the window to catch the light, under the begonias to your delight! (the kids help me water the plants sometimes so they know their names). The best part of this treasure hunt is that it gets the kids to work as a team figuring out the clues because alone they don’t know all the answers. Yay, no squabbling for a wee while! LOVE this giveaway, would be lovely to share with my fam. My face tradition is on christmas eve where we eat loads of snacky nibbly party food for dinner, mm! We always add a new decoration to our tree every year. I always cook a large gammon on Christmas Eve, and we have some for dinner. Then on Boxing Day, we have cold ham and Turkey with crusty bread and pickles. A chinese takeaway on Christmas Eve!! Baking Christmas Cookies and decorating them with the kids. Having our first full Christmas meal by candlelight on Christmas Eve. Getting up early, making coffee and opening presents! Going to Candlelight Mass with the whole family on Christmas Eve – time to reflect and remember. Going to London to see the Christmas lights. Procrastination, panic, signing up to some ridiculously over priced next day delivery service, vowing to be more organised next year. Eating Christmas dinner and getting spoilt! Hanging our stockings up for Santa to fill. Watching the Krampus put the naughty children in a sack and take them away. actually knowing the words. We get a mince pie and mulled wine after and its just such a lovely atmosphere. Im not a religious person but this gets me every year. Christmas Carol service the Sunday before Xmas. The church is always packed out and its lovely to hear every one singing and actually knowing the words. We get a mince pie and mulled wine after and its just such a lovely atmosphere. Im not a religious person but this gets me every year. Cold Roast Potato Sandwich for breakfast on boxing day. My favourite Christmas tradition is buying the tree, dragging it inside, trying to make it straight then decorating it. Opening Christmas stockings full of little treats when we wake up and whilst watching The Snowman and drinking hot chocolate! Getting up early and having a nice cup of tea before everyone gets up. Singing Jingle Bells in the morning as the kids come downstairs to see what presents are there! Playing games & eating goodies with the whole family on Christmas Eve. Christmas is a personal thing. The Chritmas tree says a lot about a family, tall, thin, fat, round, artificial, real we all have some tradition. Traditionally very often we find ourselves saying Merry Christmas and All the very best for the New Year to complete strangers In the run up to Christmas, so with that in mind the next stranger you meet wish them a Merry Christmas and they should say it back in theory. Merry Christmas. mulled hot apple juice. coloured lights on my christmas tree. Watching my grandaughter Lola opening her presents on Christmas morning, The wonder on her face when she knows Santa has been is a joy to behold. Leaving out goodies and drinks for Santa and his reindeer on Christmas eve. We always have salmon and scrambled egg on christmas morning!… and don’t open the presents until after dinner! I thought that was normal until my husband said that’s mean! I can’t help it though, it prolongs the excitement! I love when my husband breaks up from work & then I know it’s Christmas! I love our lazy PJ day traditions, snuggling on the sofa watching Home Alone & eating LOTS of yummy food that’s bad for us! Going to church on Xmas day and trying my best to keep up with the carols…even though I’m mostly out of tune! Visiting family members on Xmas day and eating too much food and watching corny films! We snuggle together on Christmas Eve, drink hot chocolate with a little something extra and watch Gremlins or Nightmare Before Christmas. Going to the seaside one day between Christmas and New Year to blow away the festive cobwebs. Bracing! Mince pies and the Sound of Music! the whole family getting new pyjamas to wear on Christmas eve! All the family meeting up to open presents after Christmas lunch,Magic to have family all around. Putting sherry & mince pies out for Santa, and a glass of orange juice & carrot out for Rudolph… Then getting tucked up in bed and waiting to see the look on my children’s faces in the morning. I love to wrap presents with some Christmas tunes (or a movie), a mince pie and mulled wine! We always have turkey curry with rice on the day after Boxing Day. I like our tradition of eating chocolate oranges on Brighton beach on Christmas Day. The family get together on boxing day. Bacon croissants and Champagne for breakfast! My Christmas tree, which has decorations from all over the world, collected on holidays and as gifts from friends and family over the last thirty four years. It isn’t just a tree, it’s become a family history, packed full of memories. A big walk with the dog in the afternoon after Christmas lunch to blow away the cobwebs. 3 Line whip, all the family present have to take part. Opening up our gifts of new pjs on christmas eve and then snuggling and watching a christmas film! Christmas Top of the Pops !